The statistic shows the results of a survey carried out in Brazil in September 2015 to find out about Brazilians' sports habits. As of September 2015, 38 percent of respondents who said soccer had been their main sports activity in the previous year stated that they had played this sport once per week. 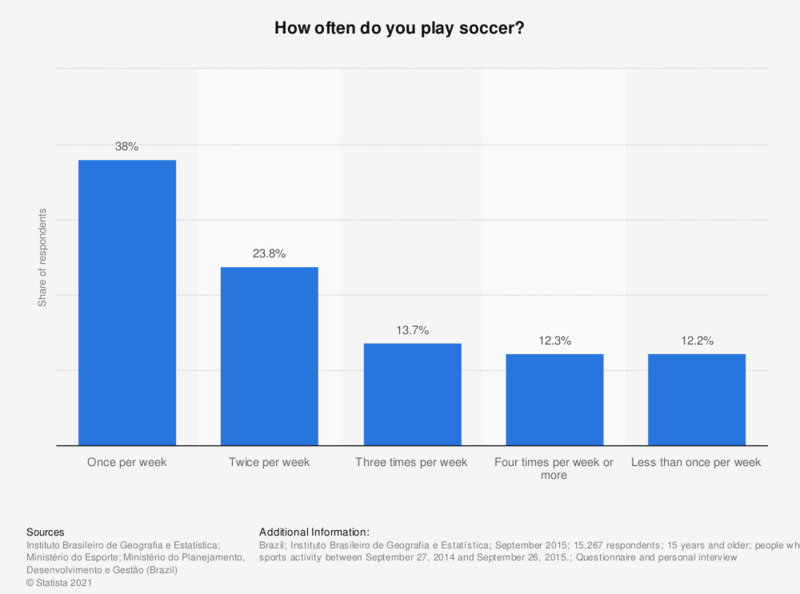 people who said soccer was their main sports activity between September 27, 2014 and September 26, 2015.